The 61st N.C. Governor's Cup Regatta is fast approaching. Racing will be held on June 16 and 17 with a sailing clinic on June 15. Paul Abdullah of North Sails will be leading the sailing clinic this year (Sponsored by the Carolina Sailing Foundation).. Some of you may recall that Paul presented the clinic several years ago and it was a great success. We look forward to another great sailing clinic (1200-1900 hrs) followed by the ever popular ice cream social. Remember to sign up for this free sailing clinic when you register here http://www.regattanetwork.com/event/15256. Urge your fleet mates to register as well. Come join the fun! Not only will you experience expertly run racing (Alan Backus, PRO) but also: Saturday and Sunday morning continental breakfasts, Saturday apres-racing social with door prizes, traditional dinner meal Saturday night (1 meal included with registration so make sure to buy your crew a meal, and a shirt, why not a hat too? ), Sunday's famous leftover social and finally the Awards Ceremony. ​Thank you to everyone that joined us!! 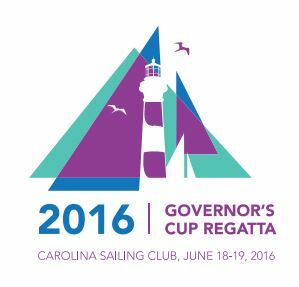 The Governor's Cup brought sailors from all over the region and surrounding states to Central North Carolina. The Carolina Sailing Club has been running this regatta since 1957! We had over 80 boats registered with 8 fleets and great coaching. Thanks to everyone who drove (and flew!) to join us. Old friends got together and new friendships began. Our recent Governor’s Cup weekends have provided good winds and large fleets, making this one of the most competitive one-design regattas in the Southeast.The regatta host is the Carolina Sailing Club (CSC), a friendly, though competitive, group of sailors. We welcome one-design centerboard and catamaran classes to compete.Invited classes include, but are not limited to: Buccaneer, Flying Scot, Isotope, Tanzer 16, Thistle, Jet 14, 420, Laser, Lightning, 505, Wayfarer, and Hobie 16. The North Carolina Governor’s Cup regatta is in its 60th year, making it one of the oldest in the Southeast. The regatta includes up to five races over two days. Racing takes place off Henderson Point on Kerr Lake which is known for its beautiful expanse of water, tree-lined shores, great family camping, and easy access from Interstate 85. Fanstastic Sailing for our 2016 Governor's Cup Regatta! We were pleased to welcome Paul Abdullah from North Sails as our coach for 2016! Paul Abdullah joined the North One Design team as an area and class representative. Paul is a long time Thistle and J/24 sailor from the North Florida area. He is a class champion in the J/70, J/24, Thistle, Y Flyer, Highlander and Interlake classes. Paul also volunteers his time running the US Sailing Championship of Champions event. Thanks to everyone for a great regatta!! 86 boats registered - most number of boats in over 5 years! Thanks to everyone who came to sail, to our incredible race committee led by PRO Bill Jarvis, and to all the many volunteers who made this event possible. We're looking forward to another great regatta in 2016. Another great year of sailing! We had over 60 boats with great competition. Saturday was mostly light winds, but Sunday's breeze more than made up for it. Great sailing, great friends, and fun all around. See you in 2015!